When it comes to natural beauty there is always an indisputable cocktail ingredient that would definitely make one travel destination stand out, and Guimaras island will prove itself why it stands out among other travel destination in Western Visayas Region. Apart from the recognition given to Guimaras Island as a home of sweetest mango fruits. 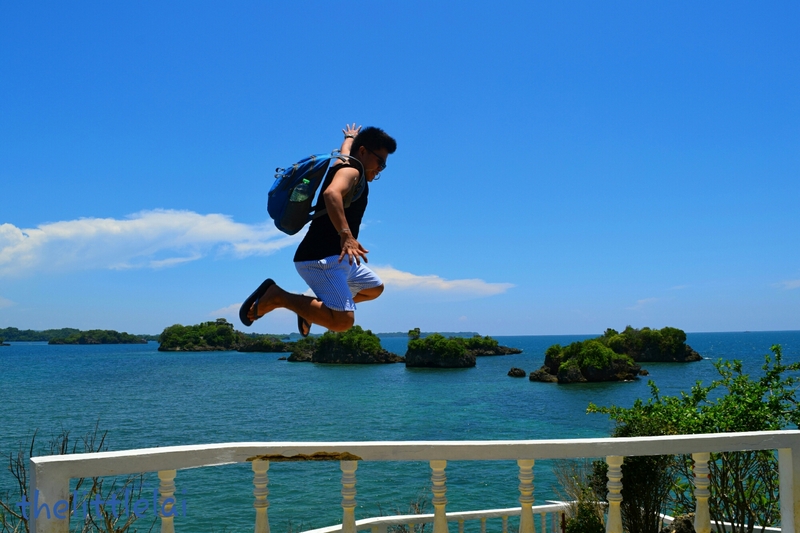 Guimaras is also boasts as one of the popular travel island destinations in the Philippines, particularly among nature lovers and adventure seekers like me. The island has often attracted attention to itself for its natures beauty. It is, without question, one of the safest solo backpacking destinations and most relaxing places to visit in Western Visayas region in the Philippines. It’s really not overly say when acknowledging Guimaras island as one of the most cloistered, serene and perfect island destination in the Philippines. vanished as soon as I traipse my two little itchy feet on the beautiful island of Guimaras. I saw the clouds part and the sun gleams through the last hint of mist. The cool breeze is kissing my surface and I can’t wait to see what Guimaras has to proffer. I was alone during this trip, trying to prove something that traveling alone isn’t drudging but it is more exciting and satisfying. I couldn’t wait to explore the whole Island. Since Kuya junjun will not just my driver, he would also my tourist guide as it is included in my package for my whole day trip. He then set about to introduce the land where he lived. He must have been truly proud of his place. The list of places below will give you a sneak peek of the things waiting for you to explore. A few minutes from the port is where the smallest Plaza ever recorded in Guinness Book of World Records. The elevated, circular porches plaza with a modest statue of Doc. Jose Rizal, our national hero will be the first to welcome you as you set foot in the province of Guimaras. 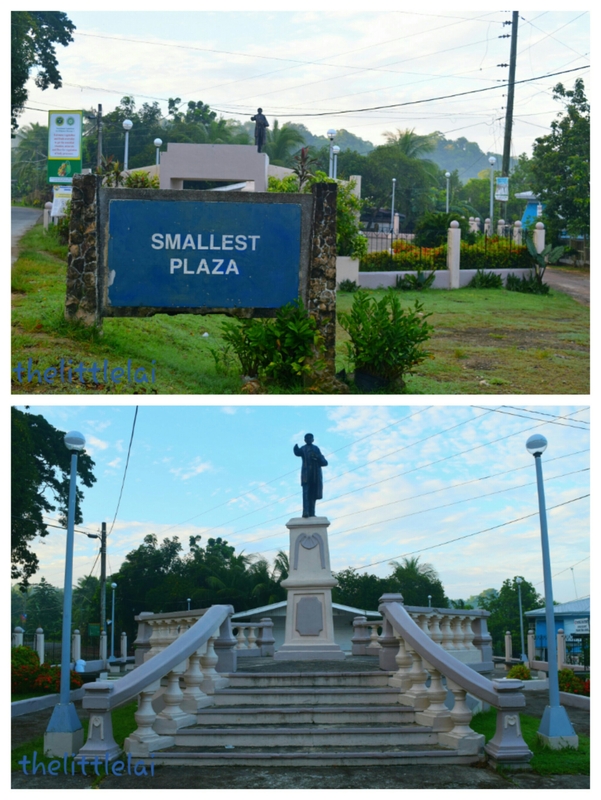 Nonetheless, the plaza remains to be the smallest plaza in the Philippines. The second stopover was a visit to Roca Encantada, or commonly recognized as “Enchanted Rock”. August 14, 2002 the mansion was declared as National heritage house by the National Historical Institute. The house was built in 1910 uniquely placed on the upper side of the rock, in honor of Dona Presentacion Hofilena Lopez. The whole house was already renovated and that made it looks like more modern. The household is facing the 7 islets and the brown sugar like sand beach on the side. A complete abandoned house owned by one of the noted family in the Province of Guimaras, the Lopez family. This is their summer vacation House since they only visited the mansion during summer. 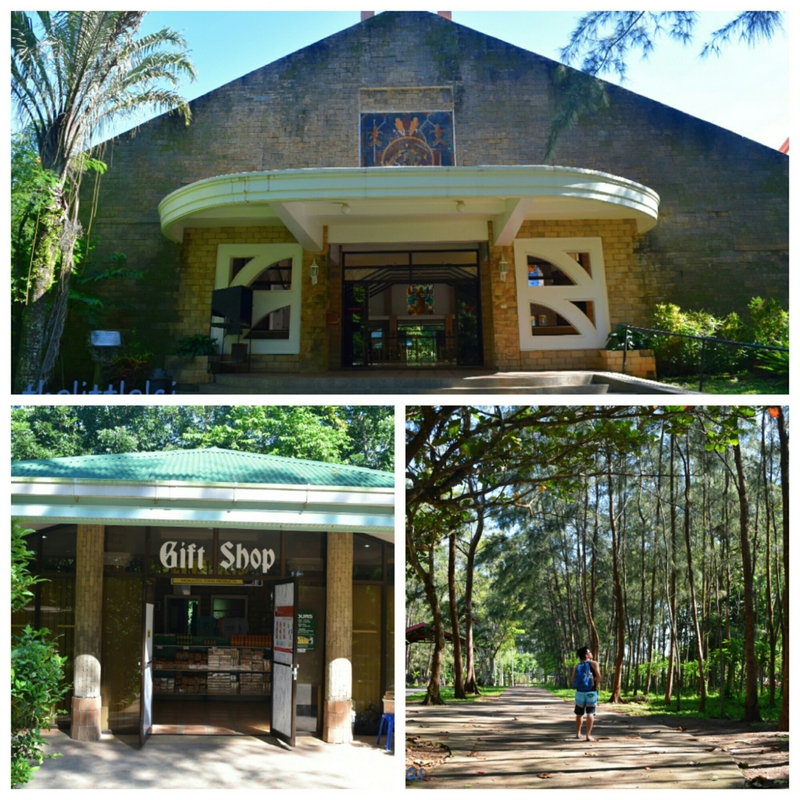 The third stopover was a visit to one of the most significant historical sites in the province of Guimaras. The well known San Isidro Labrador Church or locally known as Navalas Church. The Church was constructed in 1880, it is said to be the oldest existing Roman Catholic Church, made of native coral stone that provides the glimpse of the yesteryear. The town hall is actually not included in my itinerary, but since I only have one day to this island, then I want to make sure that everything that is worth to check should adhere. I asked kuya JunJun if I can drop by and take some photos and he is kind enough to say yes to my plea. 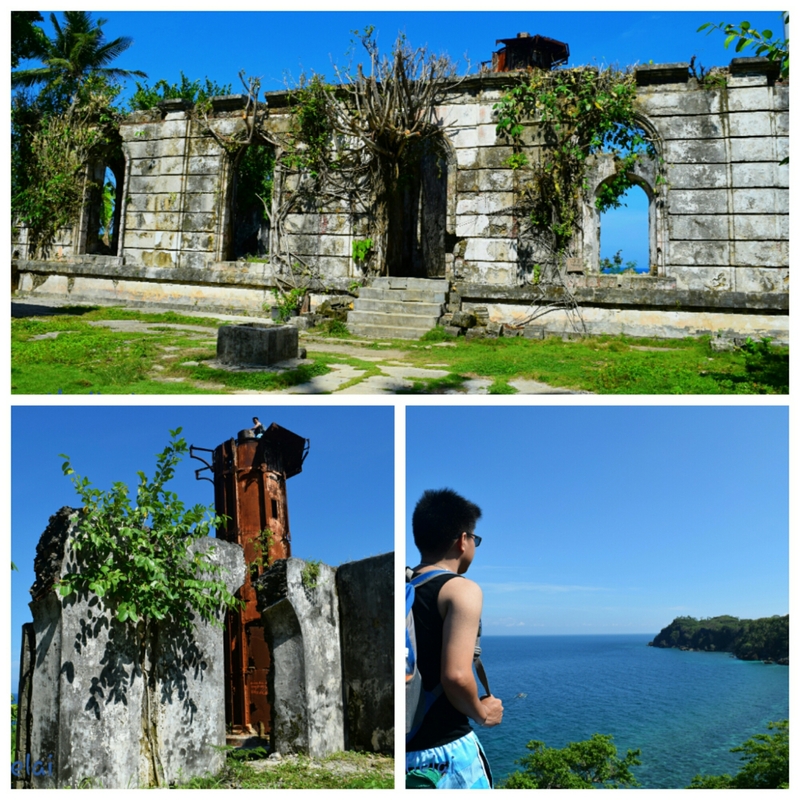 It’s always a respectable idea to know the history of the place where you’re going to, so I decided to research more about Guimaras before landing to its natural beauty. Province of Guimaras is the fifth smallest provinces in the Philippines. 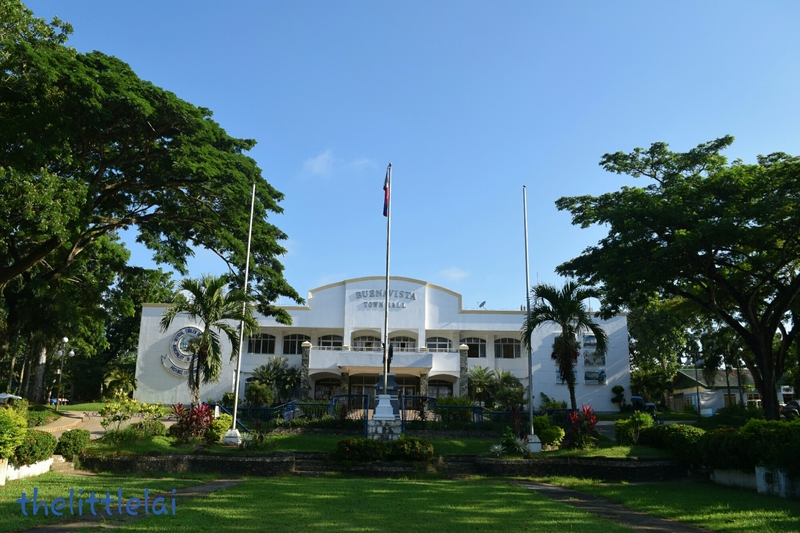 In June 18, 1996 Guimaras is constituted into a sub-province of the Province of Iloilo. But on May 22, 1992 Guimaras was converted into regular and full-fledged province. The Museu De Guimaras is just located beside the Provincial Capitol, but since I arrived early, the Museo De Guimaras was still closed. So I just took pictures instead. Being a curious nomad and an adventure seeker, I couldn’t wait to know and envision my next destination. I asked Kuya JunJun for my next destination, He then told me about the monks, and since I’m not grown up with Catholic belief I was giving kuya JunJun a blank facial expression. Throwing kuya junjun a bunch of questions would eventually a headache for him, so I’d simply wait until I could finally tread my feet on the said monastery. Trappist monastery is the only monastery in the Philippines. It was founded in the beginning of 1972. There are monks living in the monastery. 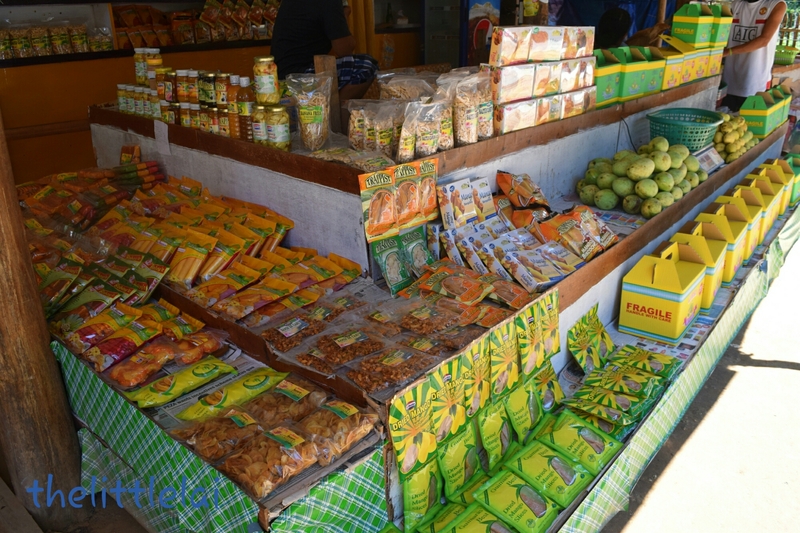 They make a number of products, selling under the brand” Trappist Monatic Products” including pineapple and mango jams, souvenir items and many other processed foods. 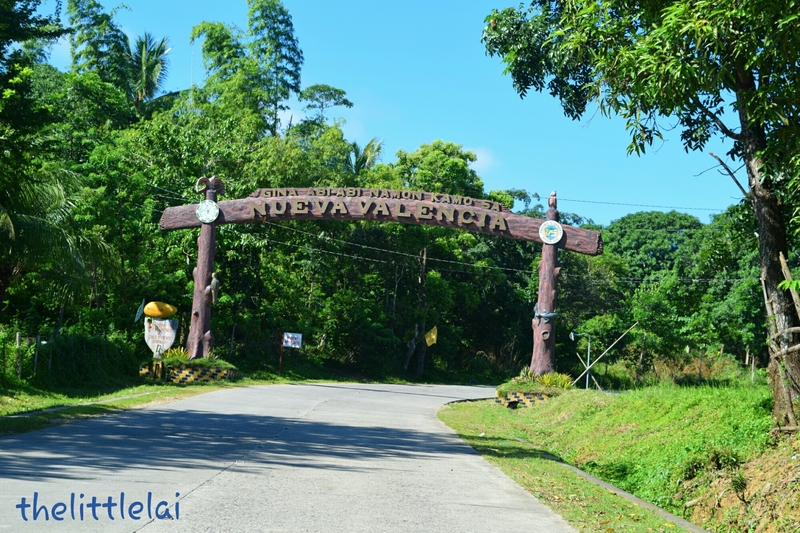 The 8th stop over was a visit to the tourist Capital of Guimaras the Town of Nueva Valencia. The town is recognized for their beautiful white beaches, wonderful islets and the illustrious 18th century Guisi Point Lighthouse. Half of the drive, precisely after the concreted road. The bumpy road is what made my trip to Guisi Lighhouse more challenging since it is still off the beaten path. 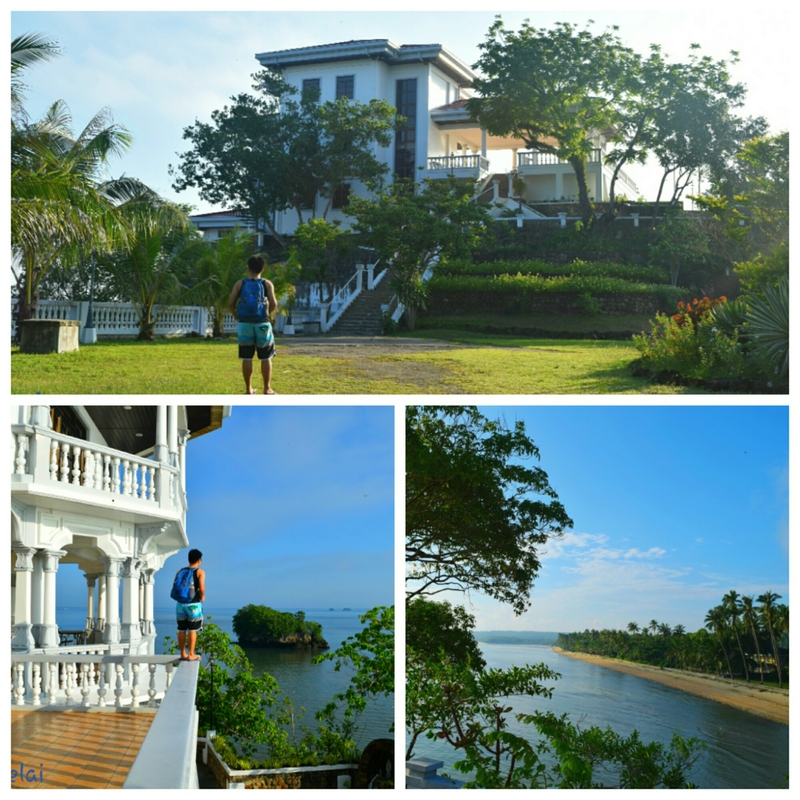 Shortly enough, I arrived at the second oldest lighthouse in the Philippines. 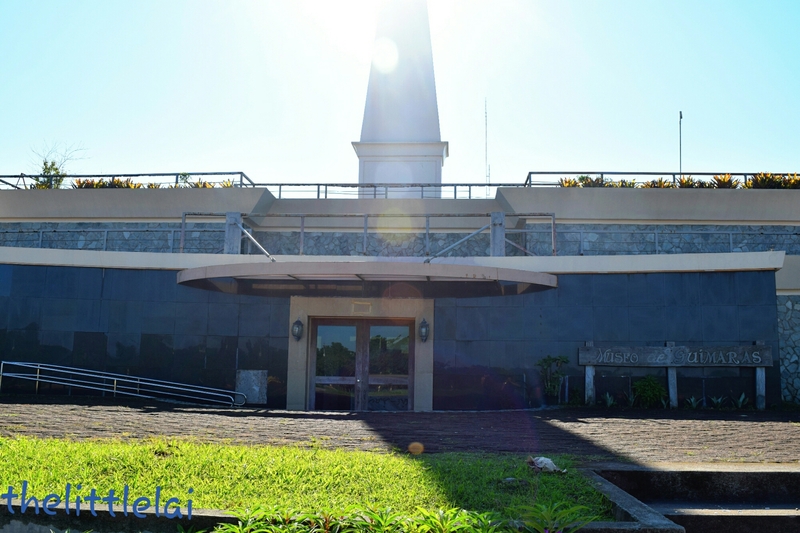 Guisi Lighthouse is a ruin of an 18th century Spanish parola also known as “Faro de Punta Luzaran. It was constructed by the Spanish government in 1894-1896. I instantly noticed the ruins of an old Spanish treaty and the tower from afar. Since I never had any experienced in climbing the lighthouse, I was then excited to climb even it looks like very rusty. Because of my agitation, I slowly and carefully traipse my two little itchy feet on the stiff rusty spiral staircase. As I got to the outmoded crown, I was astonished by seeing the wide blue ocean and the scenic sprawling mountain and white beach on the side. It is very fresh as the sea breeze slowly kissing my surface. 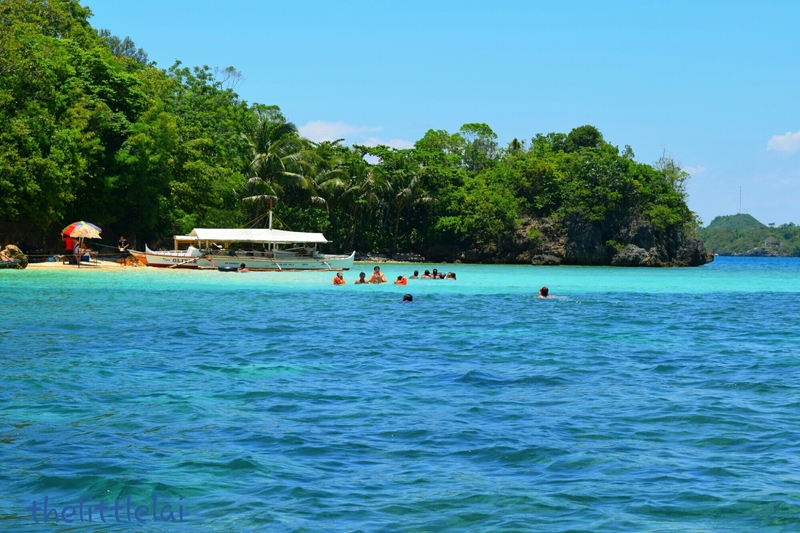 Your visit to Guimaras Island will never be accomplished without doing Island hopping, for they have the scenic view, wonderful islets and everything that your eyes need to perceive and to satisfy your craving for nature. Your eyes will open wide with wonder because this is where nature truly is. Candidly, it is hard to take photographs in this part. The islets are stunningly beautiful in every direction you face. Then it’s difficult to do justice to the grandiosity of it all! You could simply be clicking Willy nilly in every direction and you’ll surely capture incredible sights all around. 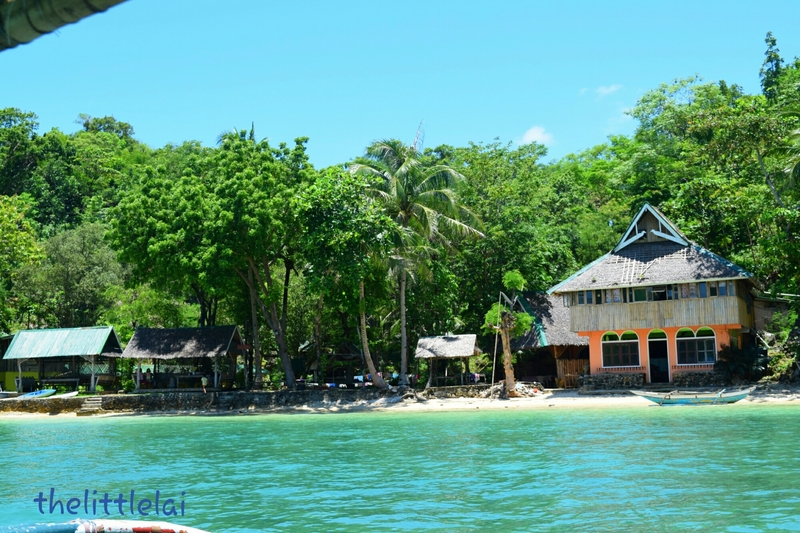 The actual start-off point for island hopping is located in Alubihod Beach in Nueva Valencia. Costs depend on the number of passengers and how long you will rent the boat. The standard rate for Island Hopping is PHP 500 for the first hour and PHP 150 for every following hour and boat is good for 10pax. At that place is also separated boat price good for 6pax and 20pax. While I’m doing my island hopping my tricycle driver is waiting outside the Raymen Beach Resort where Alubihod Beach is sited. Since I hired him for my whole day island tour, his time for waiting is considered paid. Below were the 7 wonderful Site I have visited. If Guimaras is the breeding home of sweet mangoes, the SEAFDEC is also the spawning place of huge fishes intended for study. What I enjoy about this place is providing a unique experience for travelers by interacting with fishes through feeding them personally. If you desire to have something new, something that you’ve never done before then you must drop off to this place for only PHP 25 Pesos entrance fee and you will see the different huge fishes that you’ve never seen before. The SEAFDEC is actually an organization that is responsible for Development of breeding and Hatchery. 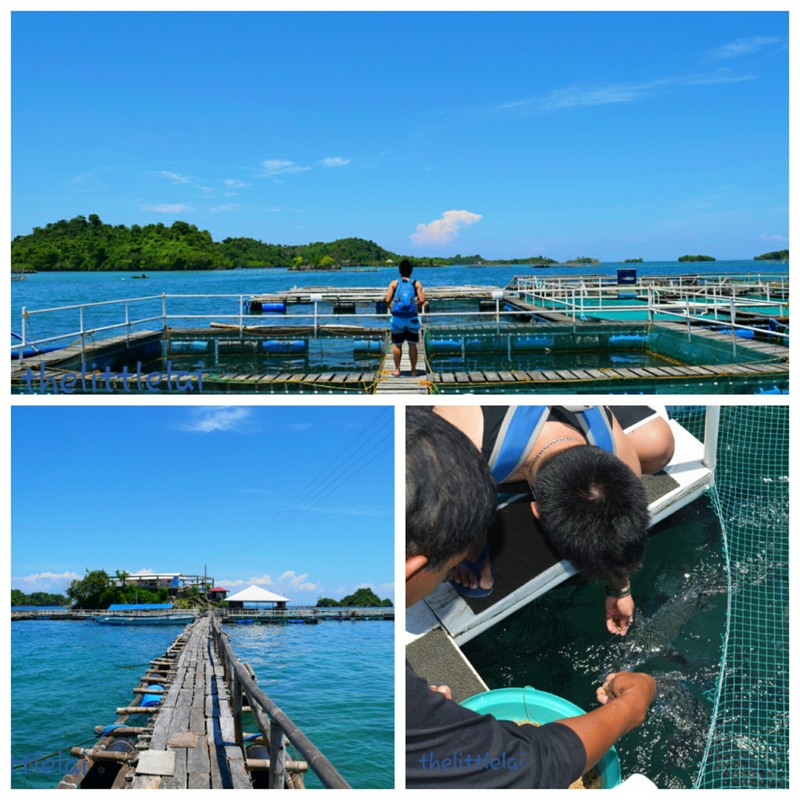 The place is divided into sections to cater different kinds of aquatic species such as groupers, sea bass, bangus(milkfish) tilapia and many others. The fish are sorted by type, breed, etc. 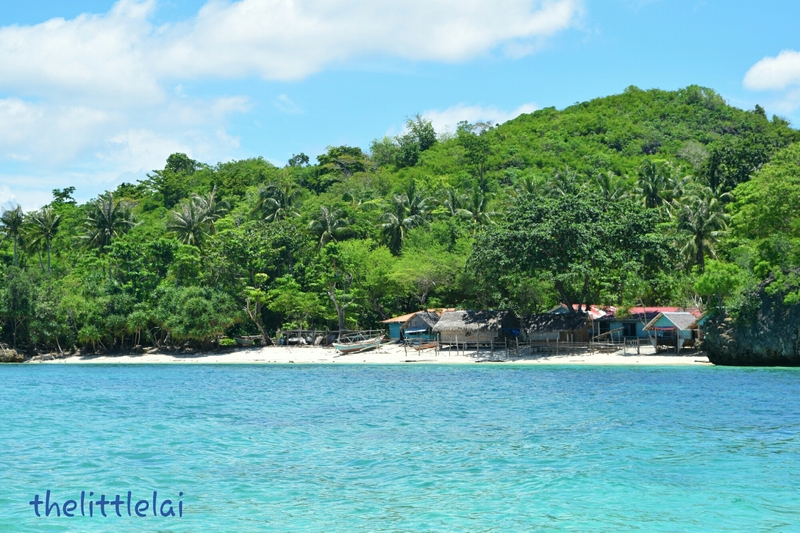 By the name itself, the Turtle Island is known to be the refuge of sea turtles or pawikan. The island is settled just across Ave Maria islet. Only since my time was being pressed, I wasn’t able to see the sea turtles personally. But according to my boatman the sea turtles are being held in a pond and they will transfer them to the beach when there are visitors. The island is likewise blessed with not so long stretch of white sand beach and crystal clear water which is really inviting. You can swim and snorkeling off the shore as well. Ace of the cutest and beguiling white beach, Island you’ll see. Surrounded with islets and fronting the other private white sand beach. The island is popular for its tiny patch of powdery white sands and turquoise waters. I saw it from afar and the aquamarine water is truly inviting. I would love to consider off my clothes and swim, but I’m naturally not fond of the beach. By personally meeting the amazing Ave Maria Island is more than plenty for me. The island is uninhabited, completely untouched and remain in its innate state. It is undeniably charming. I wasn’t lucky enough to experience doing spelunking on the said cave because it was high tide during my sojourn. According to my boatman, the cave holds a small opening that is just right for a small boat. Hence, I only took pictures from outside of the cave. While I worked my way to my next destination, I couldn’t elude the fact that I was still bothered about how the cave exactly looks like inside. Apart from the white sand and the crystal clear waters that will surely entice you to take a dip, the beach is truly peaceful. What I enjoy about this beach is the lush green foliage of trees that gives a perfect shade. If you haven’t experienced the sea breeze and the cool air coming from the green trees joining together and kisses your skin, then you must drop by to this island and experience it yourself. The island is facing the beautiful small islets, a good position for taking selfies, photos and of course jump shots (as my evidence below). It was almost close to 3:00 PM when I arrived to this island, the scorching heat of the sun is still clinging to my skin. But it’s such a delight to view the stunning scattered islets. Natago beach its actually Tagalog word translated to English as hidden. It is isolated and the last destination I have visited. The beach is naturally covered in huge rock formations where a nice beach house is located stunningly. I would eventually love to visit more islets, but my time was being pressed so here are some of the island destinations that are awaiting for your visit. Fairy Castle, Isla Naburot and Yato Island. But only when I thought I’m done with my adventure, Kuya JunJun has been eager to bring me to the pride of Guimaras, the farm where 50,000+ of mango trees are planted in 5,200 hectares of the Island. It is averred that the Guimaras Island is famous for producing some of the sweetest mangoes in the world. It is by then where the yearly event came from, the “Mangahan Festival” celebrated every 22nd of May. Do you know that these golden-yellow fruits have been dished up at the White House and Buckingham Palace? It is surprisingly awesome. Counted as the best fine-tasting mangoes in the world. It holds a unique sweetness that one can never taste anywhere else. Precisely when I about to head my way back to Ilo-Ilo city, Kuya JunJun told me that there’s another tourist destination to visit if then I’m not yet tired. I actually admired my driver for I sense the good heart that he has. Then he won’t allow me to leave Guimaras without being filled with just memories. A 45-minutes traverse from the base of the mountain in Brgy. 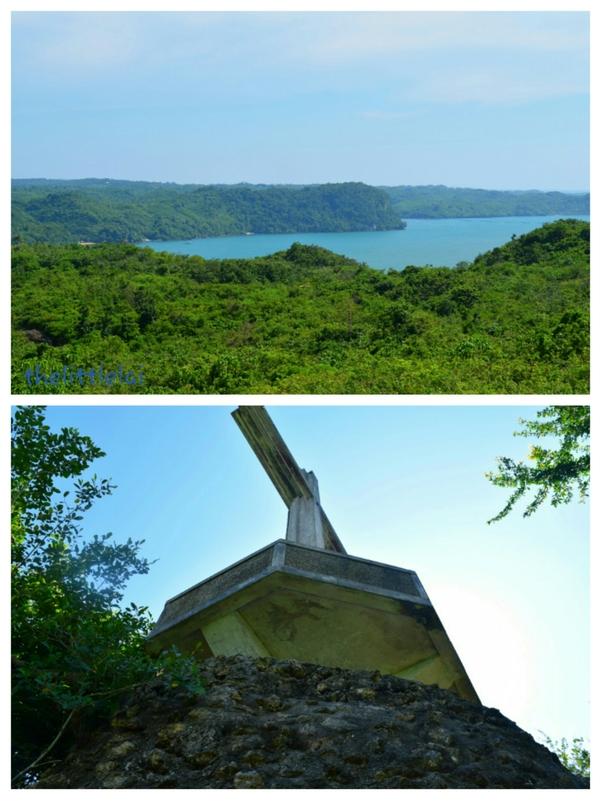 Hoskyn some 3 kms away from the town proper of Jordan Guimaras, is where the Holy Mountain located. But since kuya JunJun is kind enough, he then tries to drive me even the road is very rocky, and owns a small ravine due to the running water from the mountain when it rains. But my ride ended because of completely destroyed road going to the top. Thus, I have to walk until I was able to reach the peak. At the summit I met two couples who’s also a traveler from IloIlo. What I love about being on top of this mountain is providing the panoramic view of IloIlo City. Holy mountain is said to be the flocking place of people during Holy Week, it owns a big cross and the Ave Maria Church. Leaving Guimaras without tasting the mango pizza of the Pitstop Restaurant at Barangay San Miguel, Jordan would be your greatest regret. The eating place has been mollifying the tourist because of their luscious mango pizza topped with cheese, cashew nuts and green bell pepper. Their mango pizza is real unique, far from the taste of a normal pizza. It tastes like desert and contrast more to the taste of tart or pie than pizza. There are also other delicious menu that would surely fill your taste like spicy mango pasta, chicken adobo, sisig with mango and beef bulalo. There are numerous pasalubong items to buy at Pasalubong Center, near Provincial Capitol, in the town of San Miguel. At Trappist Monastery and there are also special delicacies to buy along the road in the town of Jordan. 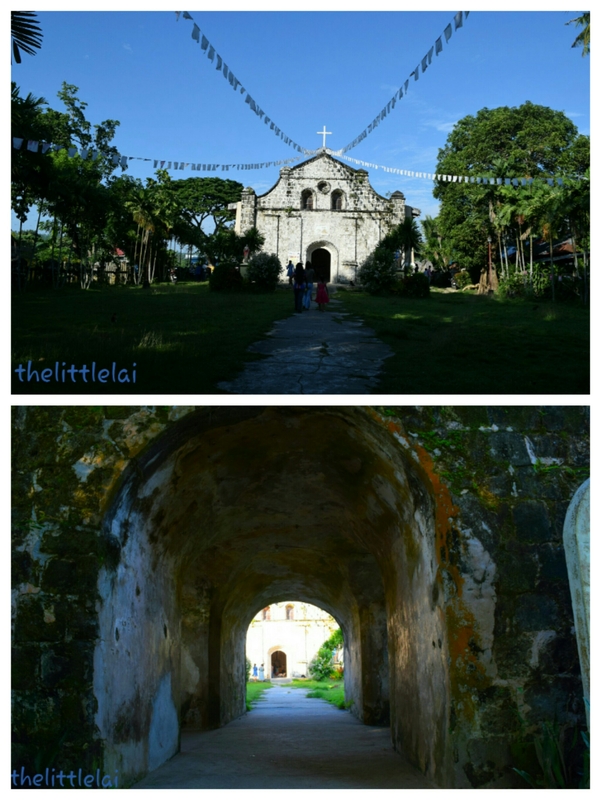 There are actually still few must see-place in Guimaras, but since I only have one day, I couldn’t explore them all. Below are the list of places in which I have missed visiting. The main attractions are their forest zip line and hanging forest bridge. If Ilocos province owns many windmills, Guimaras also own few of them. It is said to be the newly tourist spot destination. Guimaras is also home of beautiful cascading falls namely; Ambakan falls, Macapo falls and Sadsad falls. Considering that there are still places that I haven’t seen yet, I would really love to go back. The island is clearly catching on with both local and international travelers. “It is charming, it is real, and it has interesting people,” “you’d better go now and experience it yourself. You can consider a Multi-cab or jeepney, but bear in mind that they only leaves once it fully loaded with passengers. If you have limited time to this island you better opt to take Tricycle. Since I was alone during my trip so I took tricycle where you can see them outside the port of Jordan. 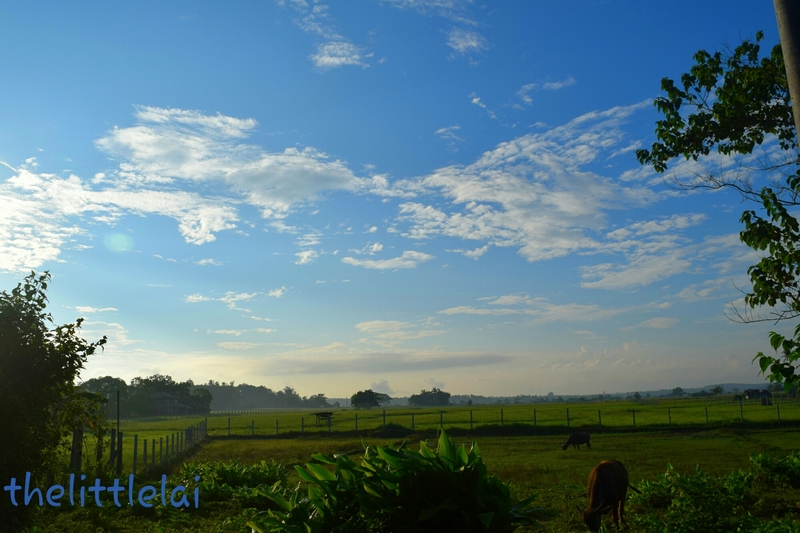 The charge per unit for standard one day land tour is PHP 1,200.00 to PHP 1,500.00 depending on your destination. But don’t worry, Drivers are very kind. And if you visit the Island with groups of friends you rather rent a Multi-cab. 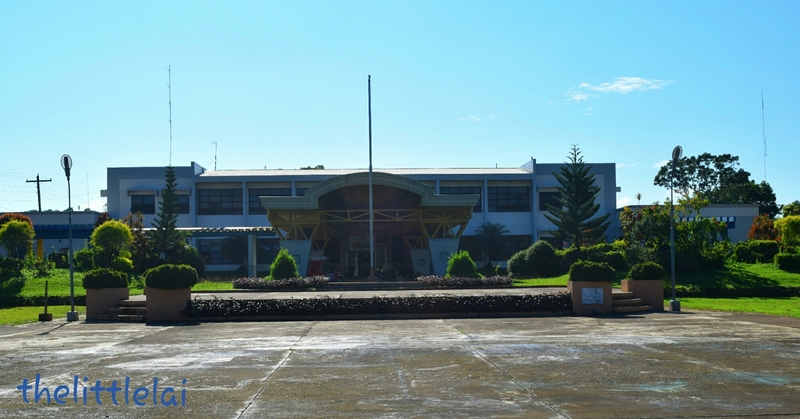 The main gateway to Guimaras Island is from ILO-ILO CITY. The major jump off spot is at Ortiz Wharf. Travel time is 15 minutes from Ortiz Wharf – Jordan port and fare is Php14.00. Schedule of trips: IloIlo – Jordan is every 5:30 am – 7:30 pm. The boat leaves every 15-20 min. Jordan – IloIlo is 6:30 am – 6:30 pm. Previous Post: PASKO sa SUGBO 2015: Christmas in Town. Very beautiful island! We plan to visit Guimaras very soon. Thank you adrenalineromance for dropping by. You will certainly enjoy the unending scenic views there. I really plan to go back to Guimaras since I haven’t explored much the whole island. Thank you for your kind words of appreciation. I hope my guides would also be a help for other travelers. I’d like to go back someday and spend a few days in one resort instead. Been going through a list of resorts in Guimaras and there seems to be a few stunning places to spend a quiet vacation there. Yeah, I have just checked your Guimaras escapade a while ago. I’d read your Guisi Lighthouse post and you seemed to be enjoying. I too fell in love with how Guisi Lighthouse peacefully situated in front of the sea. I’ve heard so much of Guimaras from my husband. He used to come here always when he was still young. 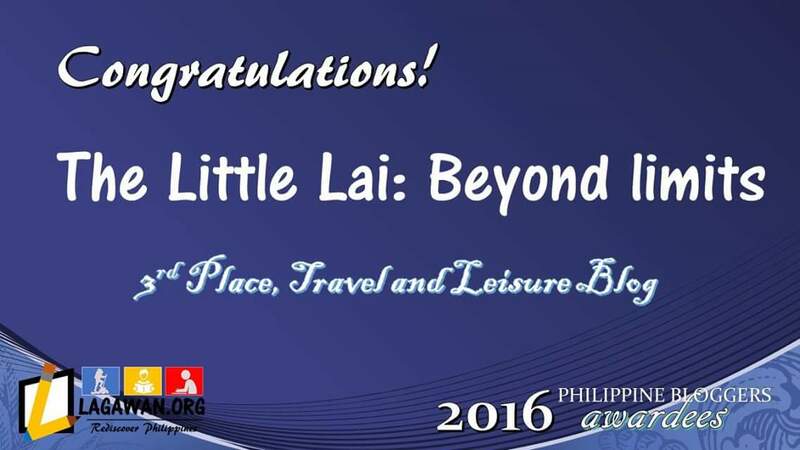 Parang kulang yung 365 days to travel every beautiful island sa Pinas…hahaha! It’s not much, but i hope you’ll enjoy reading. Never mind the photos. I’m not good as you. Hello Sir Ariel! It’s amazing that you visited all these sights in just one day! Would you share with us your expenses list for this day trip? Thank you! It’s a shame you don’t use a donate button! I’d undoubtedly donate to this fantastic blog! I guess right now i’ll be happy with bookmarking and adding your Feed to my Google account. I anticipate brand new updates and may discuss this blog with my Facebook group. that, this is magnificent blog. A fantastic read. I’ll certainly be back. 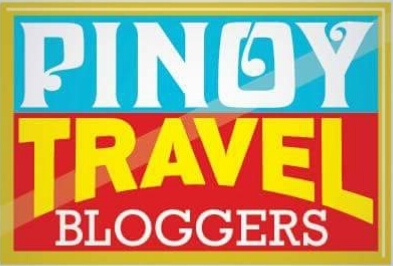 We were just traveling in the Visayas and LOVED it! 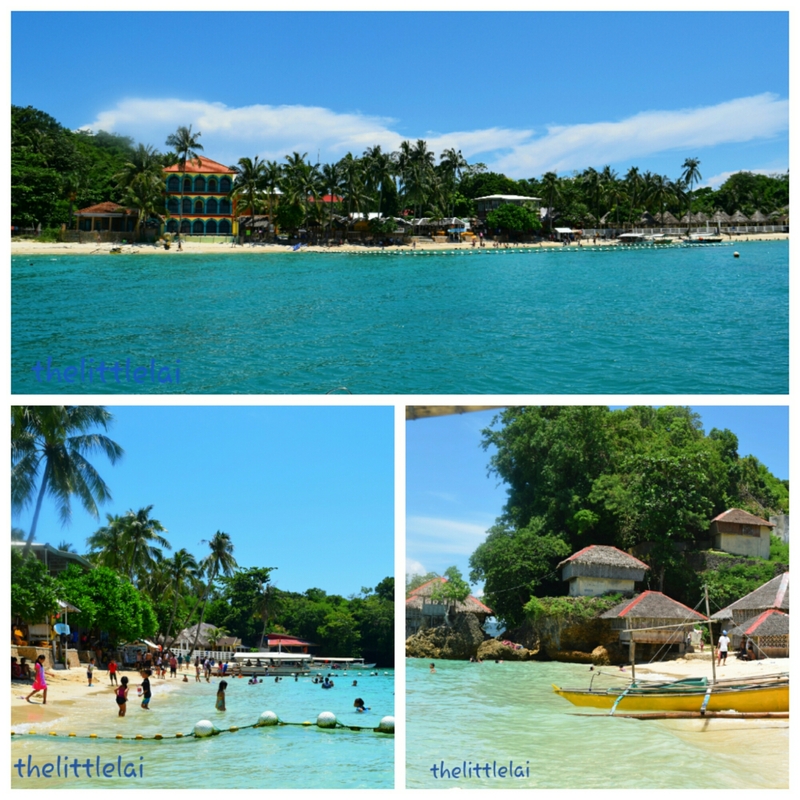 We loved Bohol the most but never made it to Guimaras! After reading about your experience and seeing your photos it makes me want to hop on a plane and go back! So many islands in the Philippines! 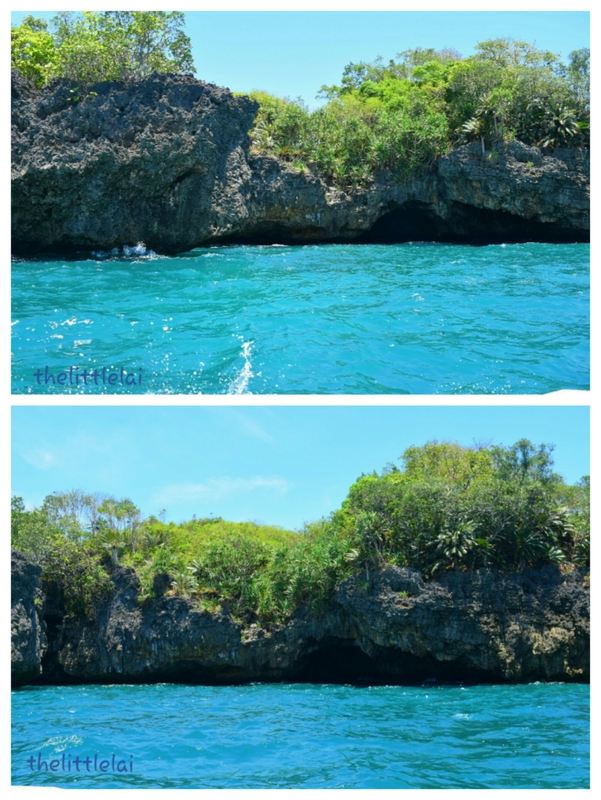 It seems as though I hear about a new and exciting destination almost every day 🙂 I would love to have the chance to visit Guimaras Island at some stage … and island hopping would definitely be on the cards! 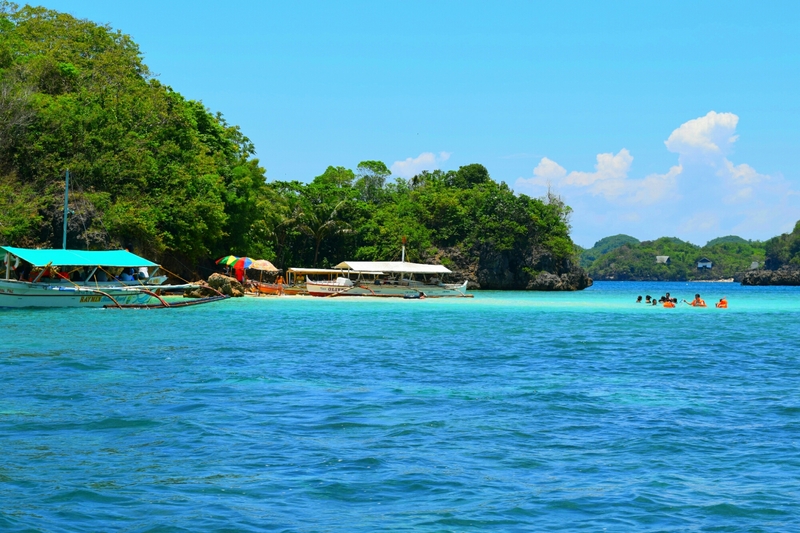 Guimaras Island looks like it has the makings of an island paradise escape. I’m sure most travellers have never heard of it but perhaps it won’t stay that way for long. Such a complete list! Turtle Island, pristine beaches, museums, local food, and so much more! I am ready to go, too. Wow you packed a lot in for a day! I love the idea of island hopping, the water colour looks just amazing! “Two little itchy feet” haha I love your descriptions always. This is a great guide to the areas. I thought Turtle Island sounded interesting at first because I saw sea turtles in Hawaii coming ashore to sunbathe and then swimming back out to sea but it sounds more like animal tourism there. Why are they taking them from a lake to the sea when visitors come and back and forth like that. The turtles aren’t free then? Is it a refuge? I’d like to know more about that place before visiting that’s for sure. Wow this place looks beautiful and the island hopping looks fun! That’s a perfect way to spend your day! Thanks for this one day itinerary. While all the beaches look stunning, I esp love the ruins. That’s more like my kinda place! Would love to visit the smallest plaza and try the sweet mangos. I hadn’t heard of this island before. I liked learning the true meaning of a beach name in Tagalog too- a way to understand this destination a little better! Wow, you we’re able to visit a lot of places, and the my favorite part is the Island hoping, you’re tour guide is very generous enough to accommodate all your request, I’m wondering if all of that cost you P1,200? Or how much did you pay for Kuya Jun Jun services? that mango pizza looks delicious, hahaha. You’re travel was Indeed well spent. Thankyou for sharing these beautiful sceneries. 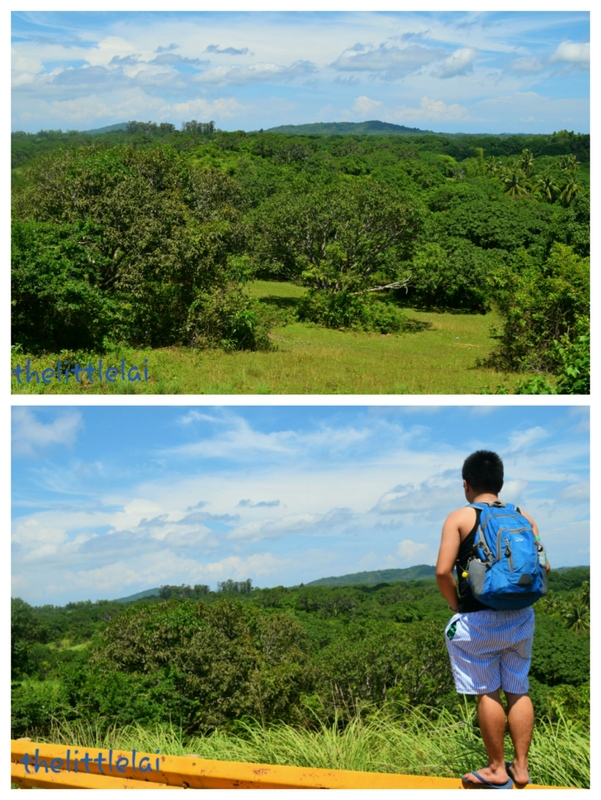 You really explored Guimaras better than I did! I was only there for one day. Headed straight to the beach. I wish I could have explored even just the mango plantations. Hope to be back soon! No wonder it is such a popular destination. The photos are absolutely stunning and the water is beautiful. But there are also cultural destinations like the museum. I personally think it would be funny to see the world’s smallest plaza! That was a lot of places to visit in one day, Lai! I guess you were able to maximize everything to make it work and kudos to that. 🙂 I am a beach person so the island hopping is one of my favorites on the list. 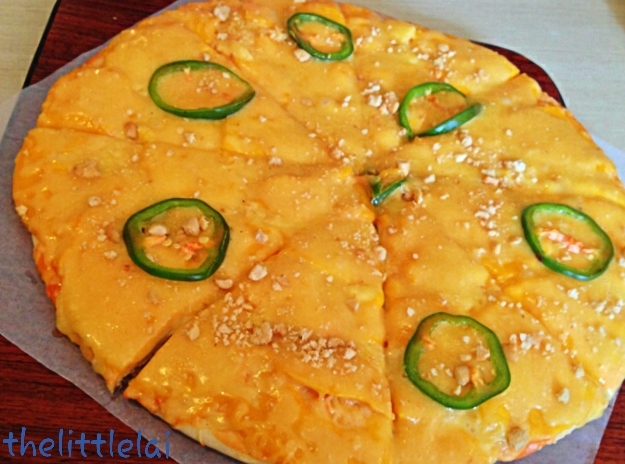 Since Guimaras is famous with their Mangoes I will also try that mango pizza in case I can visit..hehe! There is a Guimaraes in Portugal and initially I was confused. The beaches here are fantastic, love the soothing blue of them. You have prepared a good guide to the place. 50000 mango trees is very impressive, I hope to attend the mango festival there some day. Apart from the abundance of mangoes, which are my favorite, i love to visit guimaras because of its stunning island beaches. I always dream of having a honeymoon vacation here with hubby. It seems to be a very romantic place! Glad you have gathered all these in one post, will definitely get back to this for future reference! 🙂 thank you! Guimaras will forever be one of my fave destinations. I love the people and the scenery. I always feel comfortable walking along its powdery sand and swim in its blue waters. And there are many things you could do there without truly boring yourself. na-convince ko nga mo side trip sa Guimaras da. Hey very cool blog!! Man .. Excellent .. Amazing .. I’ll bookmark your web site and take the feeds also…I am happy to find numerous useful information here in the post, we need work out more techniques in this regard, thanks for sharing. . . . . .
Hello! I just would like to give a huge thumbs up for the fantastic info you might have here on this post. I might be coming back to your weblog for additional soon. A wonderful post showing this beautiful island and describing its serenity and freedom. your pictures are a great compliment to the island and makes me wish it wasn’t so far. Wow!yet another masterpice of the Philippines. 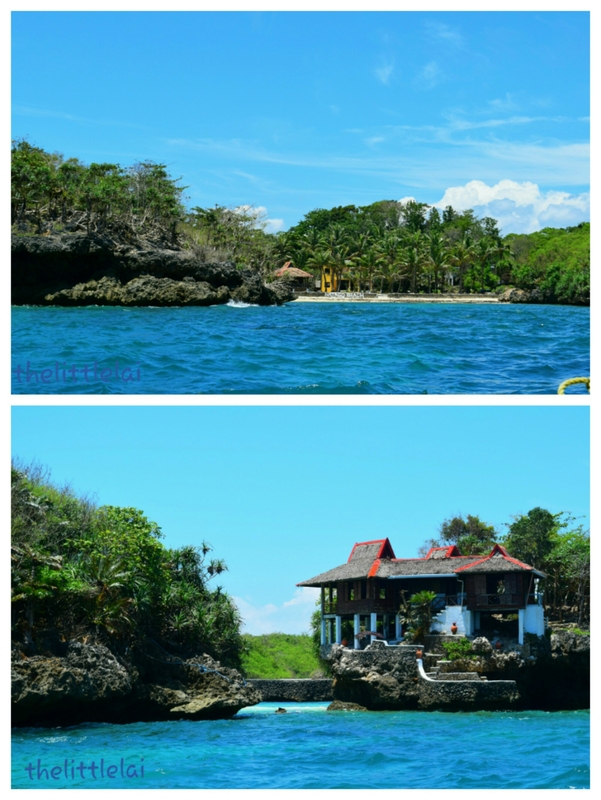 Guimaras island really stands out with so many incredible sights to see and experience. I was really intrigued by the Smallest Plaza. The islands and beaches look mind blowing. Finally the Mango Pizza is something unique, I am sure I would love it. Mangoes in any form are always welcome. I have plans about visiting the island but until these days, it remains a plan. Sana time permits na this year. 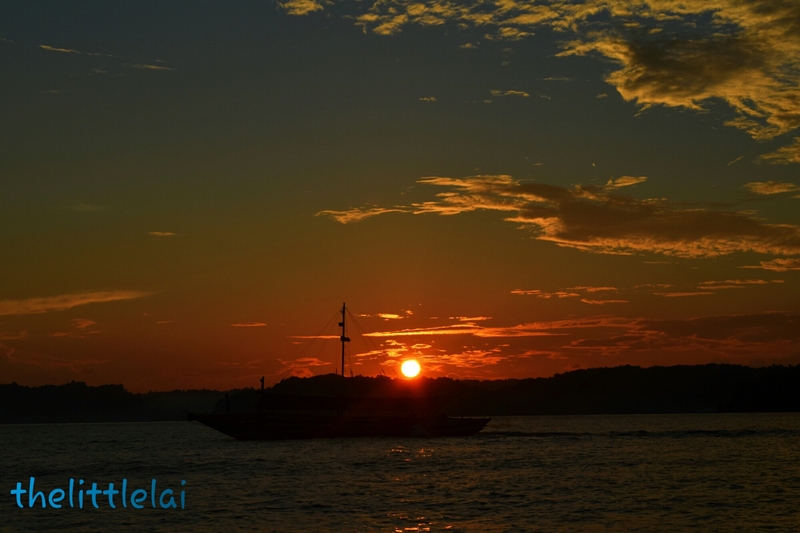 Thanks for sharing your adventure, useful facts and beautiful photos of Guimaras!